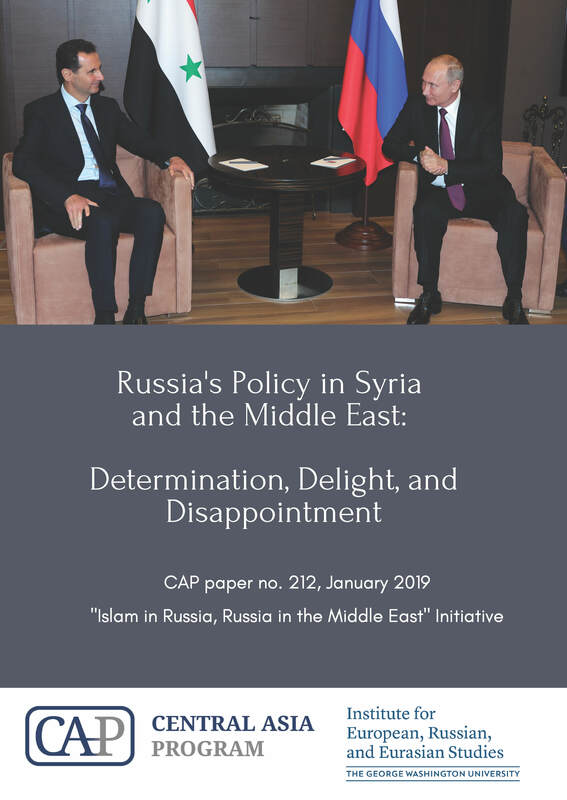 Stepanova E., Regionalization as the key trend of Russia’s policy on Syria and in the Middle East, in Russia's Policy in Syria and the Middle East (Inst. for European, Russian and Eurasian Studies, George Washington Univ., Jan. 2019), pp. 11-15. 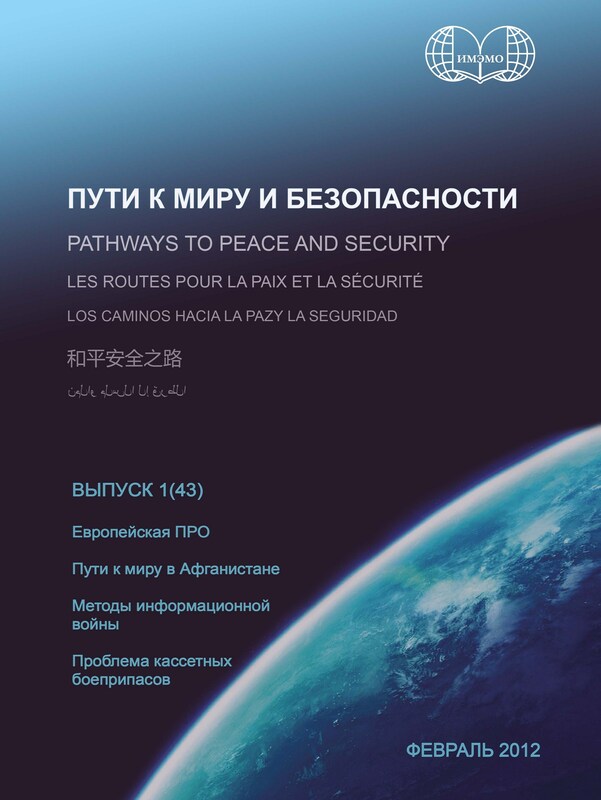 Stepanova E., [ISIS and transnational Islamist terrorism], in Puti k miru i bezopasnosti [Pathways to Peace and Security], no. 2(47) (Dec. 2014), pp. 1327; in Russian. 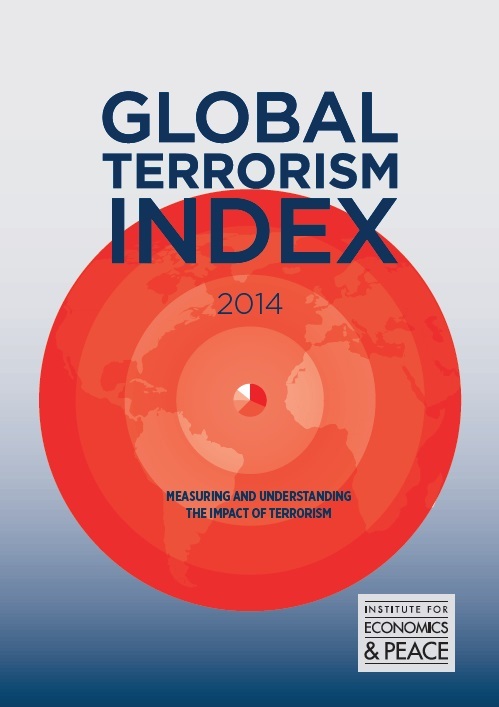 Stepanova E., [The main trends in contemporary terrorism: regionalization of armed radical Islamist movements (the case of ISIS)], in Security Index, vol. 20, no. 4(111) (Winter 2014), pp. 4958; in Russian. 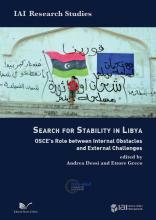 Stepanova E. [The armed conflict in Syria and Russia's policy], in Puti k miru i bezopasnosti [Pathways to Peace and Security], no. 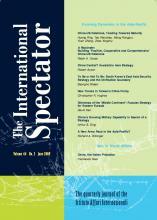 2(43) (November 2012), pp. 7-25, in Russian. Stepanova E. La política de Rusia en Oriente Medio ante la “primavera árabe”, Javier Morales (comp. ), Rusia en la sociedad internacional (Madrid: Unidad de Investigación sobre Seguridad y Cooperación Internacional (UNISCI), 2012), pp. 171-203, in Spanish. Stepanova E. The Syrian Civil War: Transition Without Intervention?, Program on New Approaches to Research and Security in Eurasia (PONARS Eurasia) Policy Memo no. 228 (Washington D.C.: Elliott School of International Affairs, George Washington University, September 2012); see also in Russian. Stepanova E. Why the world prefers to wait on Syria, in The Moscow Times, 2 July 2012. Stepanova E. The Syria crisis and the making of Russia’s foreign policy, PONARS Eurasia Policy Memo no. 199, in Dividing Lines in Russian Politics and Foreign Policy (Washington D.C.: The Institute for European, Russian & Eurasian Studies, George Washington Univ., June 2012), pp. 4045; see also in Russian. Stepanova E. Future trends in violent threats to security, in Global Strategic Developments: A Futuristic Vision (Abu Dhabi: The Emirates Center for Strategic Studies and Research (ECSSR), 2012), pp. 167193. See also in Arabic: Stepanova E. Al-ittijahad al-mustakbaliyya lit-tahdidad al'-amniyya al'-anifa, in At-tatavvurat al-istratigiyya al-alamiyya: ruja istishrafiyya (Abu Dhabi: ECSSR, 2012), pp. 195225. Stepanova Е. [The Arab revolutions: on dialectics of causes and consequences], in Puti k bezopasnosti [Pathways to Security], no. 40-41 (Moscow: IMEMO, 2011), pp. 4048, in Russian. Stepanova E., Trends in armed conflicts: one-sided violence against civilians, in SIPRI Yearbook 2009: Armaments, Disarmament and International Security (Oxford: Oxford University Press, 2009), pp. 3968. See also in Arabic: Stepanova E., Ittijahad fi assiraat al'-musallyaha: al'-unf min janib vahid dydda al-madaniyyi, Al-kitab assanavi 2009: At-tasalluh wa naz'a as-silyah wa al-ami ad-dauli (Beirut: Centre for Arab Unity Studies (CAUS), 2009), pp. 87124. (Oxford; New York: Oxford University Press, 2008), 200 p.
See also in Arabic: Stepanova E., Ittidjahad fi assiraat al'-musallyaha, Al-kitab assanavi 2008: At-tasalluh wa naz'a as-silyah wa al-ami ad-dauli (Beirut: CAUS, 2008), pp. 97135. See sections "Russia's policy on Kosovo and Iraq in the 1990s"; "Russia and the war in Iraq" (pp. 102-111), in Stepanova E., Cultures of solidarity and national interest: Russia's conflict management policies, in Jean-Marc Coicaud and Nicholas J. Wheeler (eds. ), National Interest and International Solidarity: Particular and Universal Ethics in International Life (Tokyo: United Nations University (UNU) Press, 2008), pp. 87119. Stepanova E., [Specifics of the financing of transnational Islamist networks in the context of the fight against international terrorism], in [Disarmament and Security 2004-2005: New Approaches to International Security], (Moscow: Nauka, 2007), pp. 145159, in Russian. Stepanova E., [Organizational forms of global jihad], in Mezhdunarodnyje protsessy [International Processes], vol. 4, no. 1(10), (Jan.Apr. 2006), pp. 95104, in Russian. See section "The unilateral use of force against Iraq" (pp. 181-190), in Stepanova E., The unilateral and multilateral use of force by the United States, in David M. Malone and Yuen-Foong Khong (eds. ), Unilateralism and U.S. Foreign Policy: International Perspectives (Boulder, Col.: Lynne Rienner Publ., 2003), pp. 181200. Stepanova E., [The impact of the 1991 Persian Gulf War on the theory and practice of the US regional conflict management], in Moscow University Review, no. 3 (1998), pp. 3656, in Russian. Stepanova E., [Regional conflict management policy of the Clinton administration], in USA and the World (Moscow State Univ. Press, 1997), pp. 117133, in Russian.